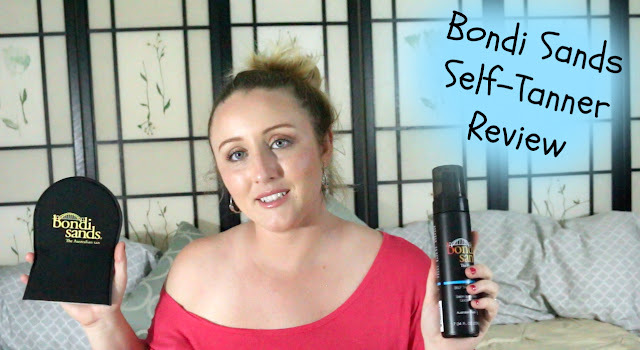 I recently purchased the Bondi Sands Fake Tan in Dark and thought with summer on the way this is the perfect time to do a review for you guys…So lets jump in! 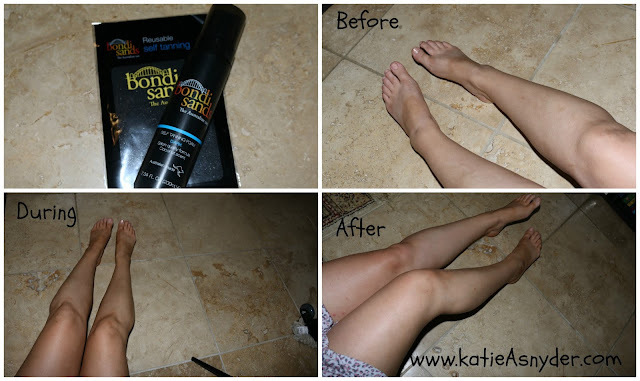 In this collage you can see my legs taken before (which I’m so embarrassed of my flip flop tan lines lol), during and after the tan, you can see that it gives a nice beach glow, versus the ever dreaded ”orange-fake tan glow”, which in my opinion is a major plus, I never want to look like an umpaloompa (or how ever you spell that). The next positive thing is the scent, this smells like coconut which to me is a huge plus because most fake tan smells horrible and my husband makes me sleep in the guest room when I use it lol, also the shipping was so fast, I ordered this and received it in 5 days, in fact the shipping was so fast that I had actually already used the fake tan and it was already starting to fade, when the company sent me an email with the tracking number! Now for the bad…There actually isn’t a lot of bad but I feel like the blend-ability is lacking a little something, it felt almost like it was too much work to blend it into my skin verses say the SiennaX, but to be far Bondi Sands is a mousse and SiennaX is a liquid, but I still felt like it would have been nice if I didn’t have to work so hard to get it blended into my skin, the other issue I had was with the tanning mitt, it was around $10 and yet after 4 pumps of the mousse it was already bleeding through the mitt onto my hand which completely voids the point of using a tanning mitt. After I used the tanner 2x (I did it every 7 days) I then let it fade completely to see if it would get blotchy, and it did get a little bit blotchy but nothing too bad except on my forearm, which Don says thats because it was like the underbelly of a fish (because I was so white lol). In the end I would say get this fake tanner especially if you are new to fake tan, the only thing I would do is using a cheap foundation brush blend it into your hairline (you don’t want to be one of those people walking around with the “orange-halo” because they didn’t blend their tan correctly), as well as use it to blend the tanner into your skin on your wrists, fingers, knees, ankles, and toes.